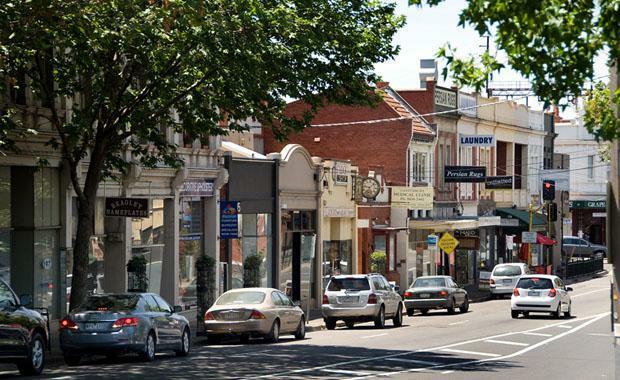 The site, which comes with approval for a 39-unit and retail development, is located in the heart of Box Hill – an area where the Victorian Government has already invested over $740 million. CBRE’s Scott Orchard said the 1,386 square metre site holds a strategic position benefited from consistent interest from owner-occupier and investor buyers. “This boutique project opportunity is in a proven apartment market, underpinned by significant retail and public transport amenities and major employment and visitor draw cards including Box Hill Hospital and Box Hill Tafe,” Mr Orchard said. The Victorian Government has designated Box Hill as a place of State Strategic Significance for delivering jobs, investment and productivity, both as a Metropolitan Activity Centre and a Health/Education precinct. The land, located at 757 Station Street, benefits from a high profile position in a major commercial, medical, tertiary education and residential hub. CBRE’s Scott Orchard, Jamus Campbell and Josh Twelftree are selling the property via public onsite Auction on 25th March at 12.00pm.